Welcome to My Author's website. These pages are intended to give potential customers a better feel of what my books are about, and who might be interested in reading them or sharing them with others. It is also a place where you can share your impressions or critique of these books, stories, or poems, or your suggestions for improvements or new ideas. I hope you enjoy reading them all. All of my books are available from Amazon.com or through book stores. If you are interested in an autographed copy, contact me directly. Joe is an author/illustrator of children's books, poetry, and other things as well. After a career in management and engineering Joe "retired" as many do, and was convinced by his daughter Amanda (a publishe author in her own right) to join a writers group. He had been dabling in poetry since he was a teenager and enjoyed writing short stories about interesting life events. He decided to try his hand at something more serious which led to writing "The Solutionist." His interest in poetry led to writing the long rhyming story "Bram and the Winds", followed by the "Lookie Bookie" series. Before going to school to become an engineer, Joe had considered a career in art, but decided to follow in his father's footsteps and became a civil engineer. The old interest in art returned to Joe after retirement and he decided to illustrate the children's stories himself. "The art is intended to be fun, to be playful." Joe explains. "It isn't meant to be serious art. I find that children do enjoy the work and that is what my goal is." Joe hopes that his books will spark children's interest in reading. Joe also continues to write and has published poetry covering a variety of emotions. Joe has used different pen names for each genre leading to some confusion. So, Who is F Joseph Euclide and why is there a web site for him? Well, that would be me and the reason is to cut through some confusion. I was named after my father; Francis Joseph Euclide. While JR was not put on my birth certificate, I was still called Junior by some people. While I certainly adored my dad, I still did not like being called Junior. As I got into high school people started to call me "Fran." It was not as good as Frank, but better than Francie, and better than being compared to a mule; not the same as a jackass. It was a great day for me when one of my teachers decided that my middle name suited me better and I became "Joe." I was relieved and even happy. What could be more manly and American than being a Joe. To this day, most people call me Joe. After graduation from college, I used my initials "F. J." cause my buddies and I thought it was very professional. The F. J. finally gave way to F. Joseph and I used that handle professionally for many years. Finally after I reached retirement age; Social Security decided that I was Francis again. 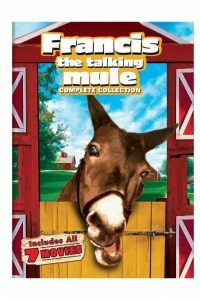 My name is Francis, Junior, Joe, Francis the talking Mule, F. J., F. Joseph and Francis: Depending. After retiring, I took up writing, among other things. The advice I took was to use a different pen name for each genre. It was easy for me as you might guess from the above choices and I still managed to avoid the names I was not too crazy about. Anyway, I am now trying to market my books and decided to move everything to one site: http://www.fjosepheuclide.com Please follow me here! A series of children's books covering the alphabet, numbers, pets, farm, and colors. A book of poems written over a long period of time. I began writting poetry as a teen and have continued throughout my adult life. My poetry ranges from humorous to dispair, and of course love. The Solutionist covers a lot of terratory. It suggests how we might re-arrange how we live our lives, how we might be better organized, how we should work together to solve problems and much more. Read to Me..., And Misc. This is a new series of children's books I am currently working on. There will be four books titled "Read to Me Mommy." "Read to Me Daddy." "Read to me Grandma." And "Read to Me Grandpa. Each book will have multiple stories or verses. Some of the books may be chapter books...We will see. All material contained are the property of the author. Copyright, all rights reserved.